This is a guest post by "hatu"
The internet has changed the world by ushering a digital revolution that has reached every corner of the world and continues to sweep towards the few untouched localities. Given the power of the internet and the reliance the world has for it, people can confidently assume that the internet is perfect and doesn’t need improvements. However, every once in a while come entrepreneurial minds who challenge the status quo and proclaim that a beneficial enhancement is due. The internet is an endless database of limitless information and while most utilize it for information consumption, it’s quite feasible to make it a source of income—an internet of value. Presently, only a few people are able to derive a value from it but a new blockchain-powered project, Merculet, aims to make the internet a value-source for everyone. Merculet aims to change the outlook of the internet from the internet of information towards the internet of value and the team behind this goal aims to leverage blockchain technology to reach its goals. Merculet will enable enterprises to increase their user engagement through their user attention value. As of now, it is tough for businesses to acquire new users or traffic to their websites. Merculet aims to engineer an accurate valuation for a user’s attention, making a clear pathway for companies to garner a user’s attention. As users will have a designated value for their attention, Mercult will allow entrepreneurs and companies to pay them in MVP tokens as a channel to drive their attention. This creates a mutually beneficial relation for both consumers and enterprises. With Merculet, a mutually beneficial relation is made. Businesses shall benefit because businesses want to gain users while users will be rewarded for their attention. However, the users are only rewarded if their actions are beneficial to the business; so, the value is feasible for both consumers and businesses. Beneficial actions can be things such as sharing the posts of a business, registering on their website, or following their page. The attention value network is composed of 3 important elements. The user attention value will be assessing the user's observation and response to the advertisement. Not only that, there is even a scoring system which shall provide proof of productive work load. User attention value can be portrayed as a tool for the business to evaluate the user attention. It will also aim to promote trust among businesses and users. Each business in the Merculet blockchain will be having a different user attention token which they can create and reward to those users based on user attention value and that different token can be converted to the MVP token which is the Merculet token itself. Each token will be having a rank along with a specific value. The rank shall be based on the criteria that is met by the business. 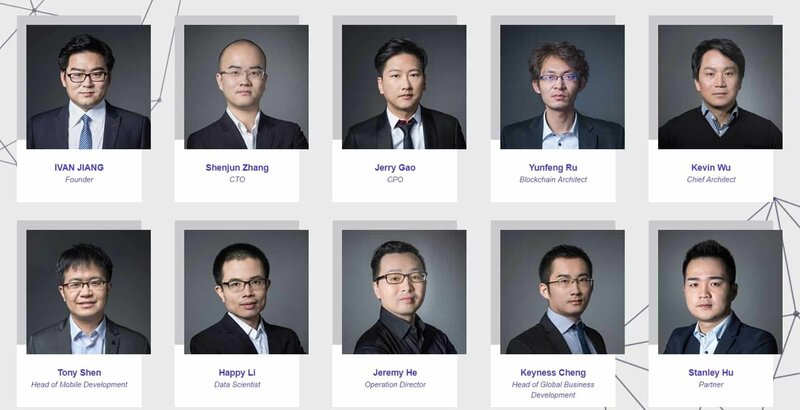 Merculet's CEO is Ivan Jiang and he has worked in top companies such as HP; he has decades of experience in leadership. The CTO, Jerry Gao, has extensive skills and experience of over 10 years in interface design in the internet, marketing, and e-commerce industry—given his prior work, he truly understands the functionalities of user attention. A key factor that sets Merculet aside from many other blockchain projects is that the team genuinely realizes that they are developing a technology product. This is evidenced by the fact that the key members they stress on are all technology experts. The product will be powered by well-experienced blockchain architects and data scientists. Focus on business operations is important, but during the early stages of a product, the key focus needs to be on product developers. The advisory board is studded with exemplary professionals. It includes individuals like Shen Bou, who is the founder of Bitshares, a top 50 cryptocurrency by marketcap. Such an advisor can provide extremely valuable advice on how to take on the crypto markets and how to best harness the power of the blockchain. Merculet’s team is capable of delivering the ambitious project they are aiming for. To conclude, Merculet has a unique idea that can potentially revolutionize one of the most important economical resource in the world: the internet, and it aims to do so by commoditizing something everyone has: attention. https://steemit.com/@hatu – Follow for a new ICO analysis every day!